At Costco the other day, I bought the first Copper River Sockeye Salmon I'd seen for sale. I brought it home, brined it for two days, then laid it out on a rack, drizzled some honey over each piece, and put it in the refrigerator to dry for an additional day. We made an unplanned trip to Whidbey for one night and hence was not able to smoke the salmon as I originally planned. So, today, it was do or toss? So, we decided while we're smoking the salmon, might as well throw some chicken on there for dinner. Combine the hot water with remaining ingredients, except ice. 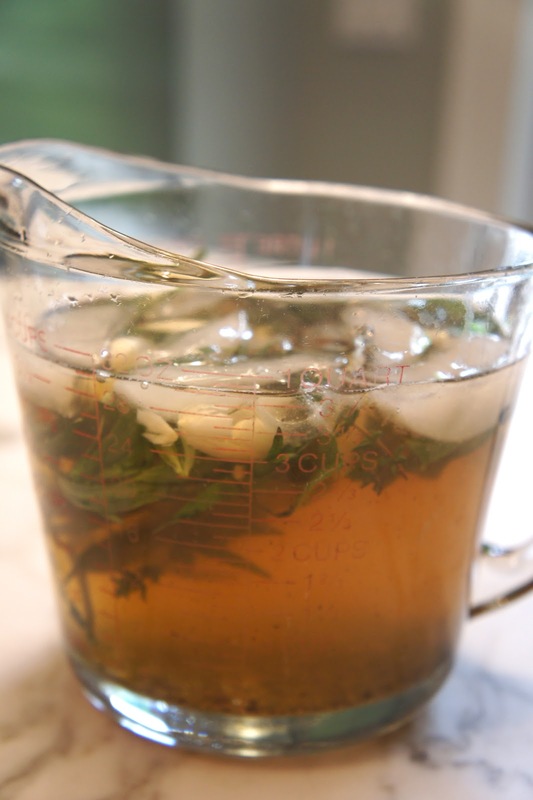 Use a large spoon to stir and press on the herbs until the salt and sugar are dissolved. Let sit for 15 minutes. Then add enough ice to the mixture to make a total of 4 cups of liquid. Using poultry or kitchen shears or just a good ole knife, split the chicken through the back and flatten it out, cracking the breast bone if necessary to flatten it. Place the whole chicken plus any additional wings in a large bag along with the brine. Refrigerate for at least 4 hours and up to 8. Chris pulled out our Weber smoker, but you could do this on a regular charcoal grill. Light the charcoal and smoke the chicken using indirect heat. On a smoker, this is the only way to do it. On a grill, light the charcoal on one side of the grill and put the chicken on the opposite side away from the charcoal. Soak some wood chips to spread across the charcoal once they have greyed. On the smoker, we used large wood chunks. Smoke the chicken, maintaining a temperature of 175-200 for about 2 hours. The chicken was smokey, sweet and juicy. The salmon, fabulous as well. I used the same brine recipe from a previous post. 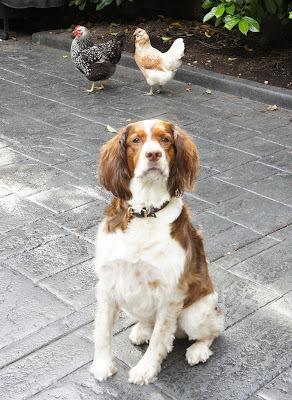 Speaking of chicken, a photo update of Pacino and the chickens. Almost in harmony, until one gets nervous and runs off. 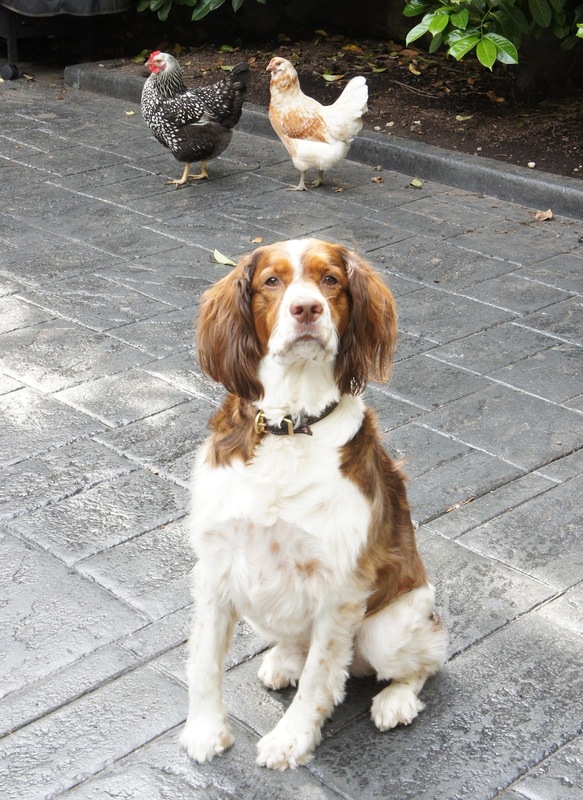 Then Pacino is definitely thinking the chase is on.